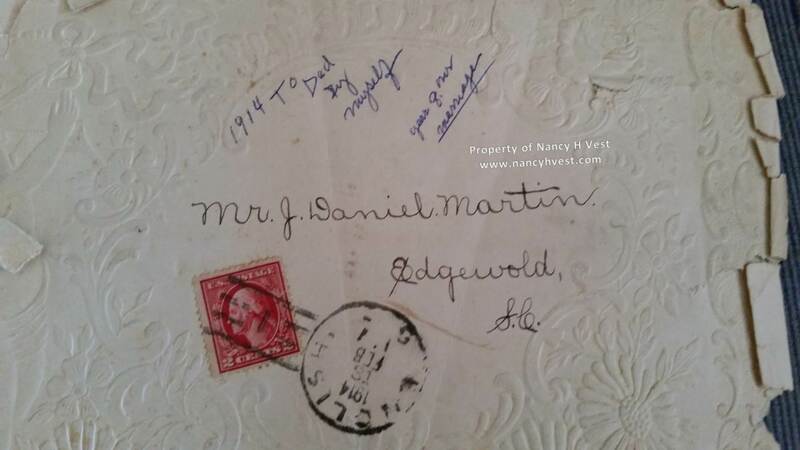 My grandparents, Joel Daniel MARTIN and Florrie Jane THOMAS MARTIN, became engaged in January 1914 and married in June of that year. 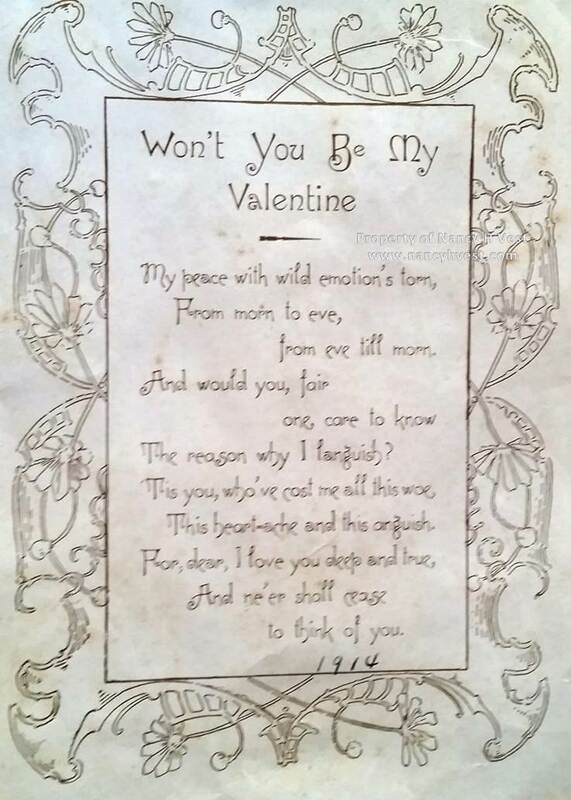 Florrie sent Daniel a Valentine that year, likely the first romantic valentine she’d ever bought. My grandparents were tenant farmers and lived in many houses over their life together. They carried few things with them from house to house besides their kids! 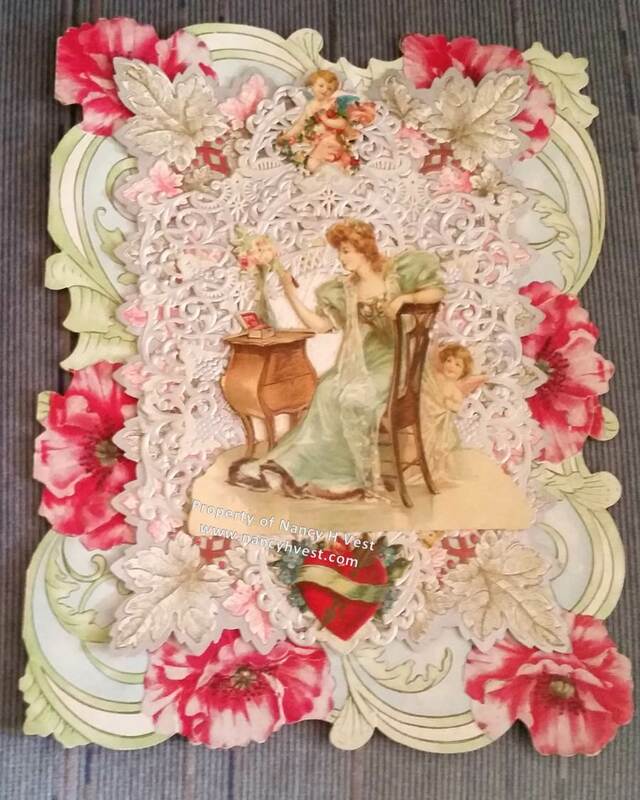 These valentines, and the letters Daniel and Florrie exchanged when they were courting, were carried with them through all those years. The envelopes are tattered and torn, but the letters are still quite readable. So cute! This is why I save stuff like this. I hope one day my grandchildren will come across it and be inspired. Thanks for sharing. Wow! That is insanely cool. I can’t believe how great of condition those are in! It IS amazing they are in such good condition. They moved 20 times in about 15 years, yet my grandma kept them safe. Very sweet and such a high level of descriptive writing in 1914. It is especially sweet considering that my grandmother was not a lovey-dovey person. She was quite smitten with my grandfather, though. Thanks for commenting. My grandma kept many things, and she lived with my family so I inherited many items. I surely didn’t see her as lovey-dovey, but she must have been to have given and saved that card. And, yes, their lives were hard. Harder than anything we can imagine now.